Facial Rejuvenation (Cosmetic Acupuncture) » Smile Acupuncture Clinic | in Katy, TX since 2009 | Sung H. Chung, L.Ac. Acupuncture and Traditional Chinese Medicine (TCM) can provide a safe, effective, natural, and drug-free approach to reducing the signs of aging. A facial rejuvenation treatment using this ancient technique can improve muscle tone of the face and neck while addressing underlying imbalances that may have contributed to the aging process. Mei Zen means ‘beautiful person’. Mei Zen Cosmetic Acupuncture is recommended to those who have large and small wrinkles on the face, as well as those who are contemplating facial asymmetry, those who have facial trouble, and those who have sags due to aging. Mei Zen Cosmetic Acupuncture is a traditional Chinese facial rejuvenation treatment which a traditional Chinese acupuncture combines with a cosmetic beauty. Mei Zen Cosmetic Acupuncture gives an effect to improve the wrinkles and increase the skin by releasing the facial muscle through stimulating the Acupuncture meridians and Acupuncture points of the face. 1. 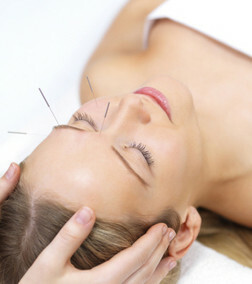 There is low side effect from Mei Zen Cosmetic Acupuncture, because the only method is using needles. 2. It improves blood circulation, lymph circulation so that the skin can be uplifted. The stimulation of skin by acupuncture releases the rigid muscle and facilitates the elasticity of the skin so that skin can be lifted. 1. Are there side effects of Mei Zen Cosmetic Acupuncture? Mei Zen Cosmetic Acupuncture is not a surgery or facial filler; therefore, there are no secondary side effects such as nerve damage or operative swelling. But you will be able to see bruises. 2. Is there any pain? There is little or no pain, depending on the patients. We use thin needles on the face. 3. How many times is the normal procedure? Normally the procedure takes around 10 times. 2 times a week is recommended. Please call for details on of special offer.